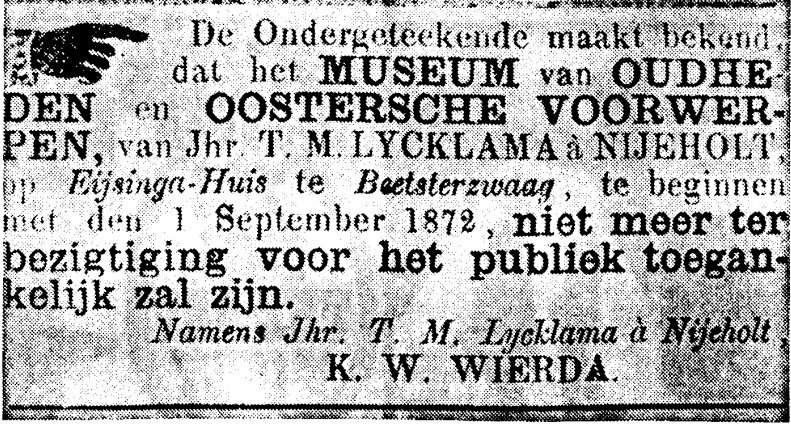 Notice in the Leeuwarder Courant of May 5, 1872, announcing the closure of the museum in September of that year. Tinco’s coffin arrived at Wolvega on Wednesday December 12 at 3:21PM. 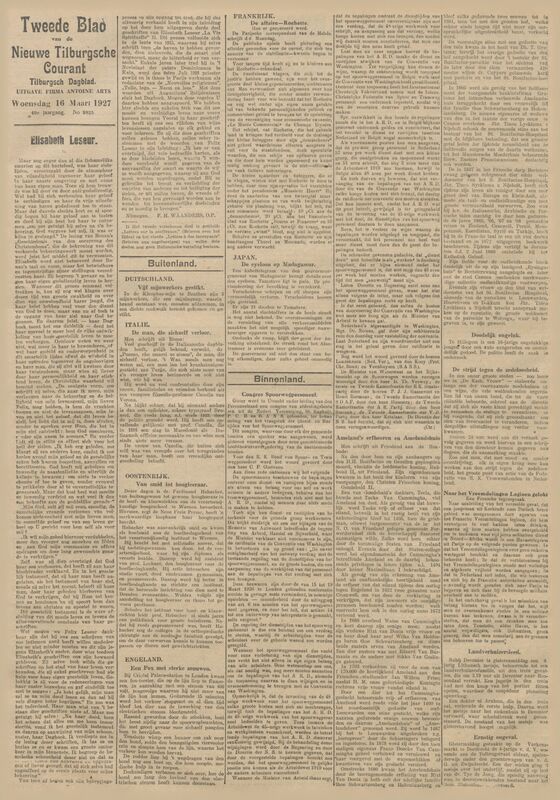 On Thursday morning December 13, a mass was held in the presence of family and the body was interred in Lycklama’s chappel.